Hybrid funds as the name suggests are those mutual funds which invest in more than one asset class and thus provide a balance between risk and return. We all know that Asset allocation and diversification are the most important elements of any investment planning; these hybrid funds provide us with best of both worlds. Diversification is the inbuilt feature of mutual fund but Hybrid funds has additional feature of asset allocation as it exposes us to different asset classes like equity, debt and in many funds with gold. Different hybrid funds has different investment objective and thus different asset allocation ratio. Thus one should invest in such funds only after understanding the importance and usage of the same in one’s portfolio. 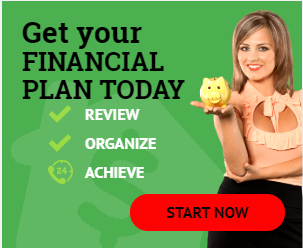 There are some equity oriented hybrid funds, which are popularly called as balanced funds. These balanced funds have minimum equity exposure as 65% and rest goes into debt. The allocation of at least 65% in equity brings balanced funds at par with other equity funds as far as taxation is concerned. Other than balanced funds, there is category of debt oriented hybrid funds. In these funds the major portion of allocation goes towards debt instruments and rest goes into equity. Investor can select any fund, having different allocation as per his risk appetite, goal and taxation he’s falling into. Let’s have a look at some of these funds and how and where these can be used properly. As explained above the asset allocation in balanced funds comes up as 65-100% in equity and 0-35% in debt. The major advantage of these funds is that these are less volatile as compared to pure equity funds but enjoys the same tax treatment as of equity funds. Long term capital gain tax in balanced fund is NIL and short term capital gain tax is 15% of the gain. 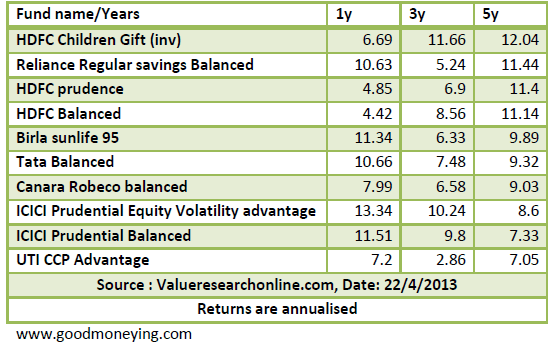 These funds are best suited for a single goal and when investor wants equity like returns but with less risk. But do keep in mind that in balanced funds fund manager has option to increase the equity allocation to maximum of 100% so in those cases you may see increase in volatility of returns. This is another category of hybrid funds with Asset allocation tilted towards debt side. As the taxation of the all funds having equity allocation below 65% is same, so you will find different variants and combination of debt oriented hybrid funds. Some are categorised as aggressive as they are high on equity allocation compared to others and some are categorized as conservative as they are high on debt allocation. Among these segments some funds are targeted at a particular goal like Monthly income Plans (MIPs) (Read : How MIPs should be used). 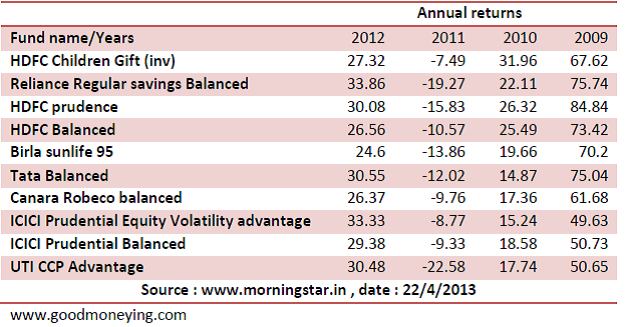 Lets see how the aggressive and conservative segments have performed in last few years. You can very well see from the above tables that some of the funds which are under conservative allocation have performed better than hybrid funds with aggressive allocation. 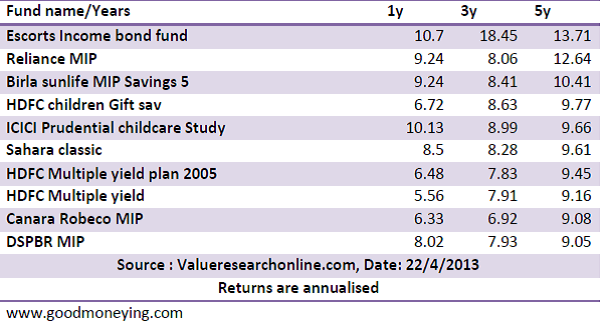 And in fact if you compare annualised returns with the balanced funds also, you will not find much difference in last 5 years returns patch. But does that mean conservative funds are better than aggressive ones. No. It’s all about asset allocation. Sometime one asset class performs and sometimes other. And this is how your investments should be allocated. Should you invest in Hybrid funds? Hybrid funds can be a good starting point for a new investor. One can select among the balanced funds or debt oriented hybrid funds as per the understanding and risk appetite. Returns should not be the only criteria, better to understand the structure of product and if that structure suits your requirement or not. When one is targeted towards a single goal with a time horizon of 2 or more years and does not want to indulge in designing own asset allocation and rebalance it time and again, these hybrid funds in the form of balanced funds or others can be a good option. Do understand that higher the equity exposure in a portfolio, higher would be the volatility. What do you think? 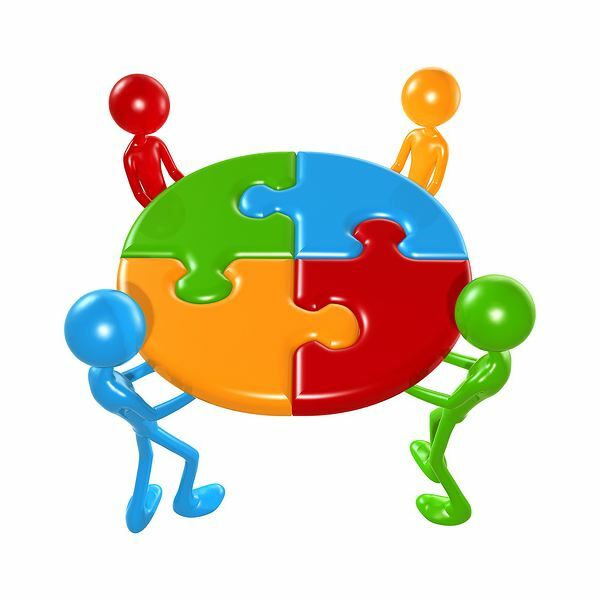 Do you use hybrid funds as balanced or others for your investment? Are you comfortable with the Asset allocation these funds come up with? Do share your views? Previous articleGold Investments – Buy, Hold or Sell? 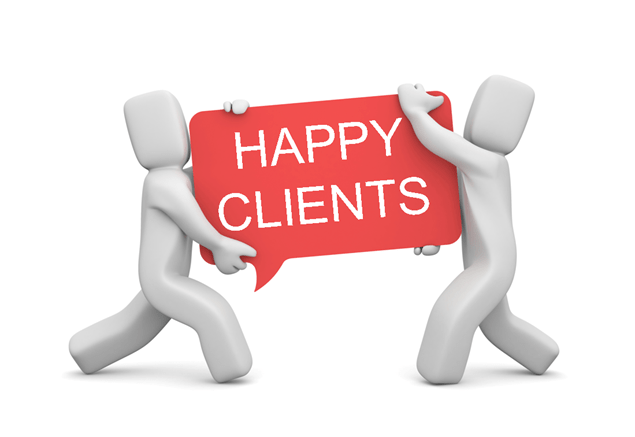 Next articleJoint account holding or Nomination – What is better? Good post. Hybrid funds have always been consistent in performance. 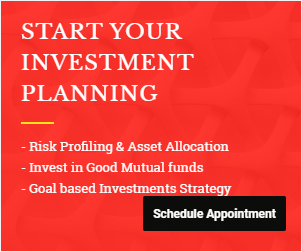 During an uptrend in the markets, the equity oriented funds did well and now in turbulent times like today, the dual advantage/capital oriented plans/ debt oriented funds are the investors’ favorite, as they not only protect the capital, they also give a chance to earn superior returns from equity. 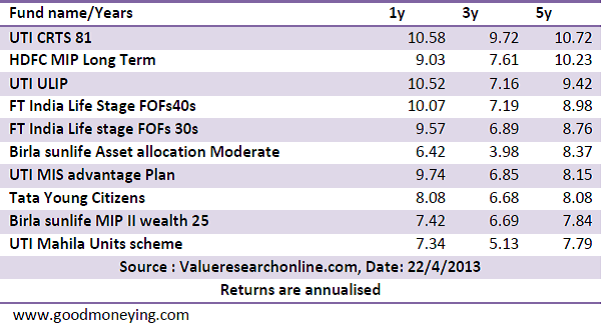 But since the onus of managing the fund and its performance depends a lot on the fund manager, one should invest only after checking the track record and relative historical performance. Thanks Annapurna. But in my view these dual advantage/capital protection oriented funds are just useless funds and are just meant to keep clients under a specific lockin period , so the AUM of companies should not get hampered time and again. If investors are vigilant enough or smart enough to understand how asset classes works he/she should design his own capital protection oriented portfolio. But for open ended hybrid funds i may advice to go ahead for those who wants to put money for single goal or who don’t want to indulge himself to some asset allocation techniques. May be this is not the place where my coming question should intend to but still asking the same.The question is what is this XIRR and how I can relate it to the standard interest rate paid by the banks either on FD or RD. Gaurav, XIRR is a sort of annualised return which is calculated when the payment stream is irregular, also when the period in question is not a complete year or in mutiples of one year. For e.g you invested Rs 100000/- in Jan 2012 and withdrew or the fund value on Jan 2013 is 110000/- than you simply calculate annual return, But if you deposit Rs 10000/- in jan, 30000/- in March, withdrew Rs 20000 in november and you want to calculate return on your investment as on Jan 13 than you need to check the XIRR.